“Microservices” is one of the most popular buzz-words in the field of software architecture. While our first article talks about the fundamentals and benefits of microservices, in this article we will explain how enterprises can implement microservices in real-world use cases by leveraging key architectural principles. Microservices-based solution architecture is not always the best fit for all use-cases, and using a one size fits all approach has several drawbacks. Before designing a microservices-based solution architecture, enterprise solution architects must address the following questions. Is Microservices architecture a good fit for the solution? How should one define the Microservices Architecture? While building microservices architecture for the first version of an application, we suggest going for a “monolithic” approach. This means you build your application in a simple way to validate your idea first. Then, you apply the principles included in this blog to scale and evolve your initial monolith into a microservices-based solution architecture. There is no value in creating architecturally pure microservices that do not offer value back to the business. Monolithic Architecture patterns will help you to understand several issues and limitations about large and complex systems (that can possibly occur with Microservices architecture). Microservices architecture is a set of loosely coupled services and decomposition of the application into services plays a key role in microservices architecture implementation, deployment, and CI/CD. Solution architects can define the decomposition methods based on need & solution, there are no “best” methods for decomposition but there are common methods, which can help you to decompose your solution in several services as mentioned below. To apply decomposition, you need to understand the need & role of each component, weight/links between several components and more factors for each component of the entire solution. Microservice architecture uses the service registry to maintain a location of service to send requests, and this registry can be managed on the server side or client side. The Service can register itself or via a third party (deployment scripts) can register the service. Each service should register itself on the registry on service bootup with a health check interface. Health check interfaces help the registry check for service availability. While defining the service registry you must implement a mechanism that enables the clients of the service to make requests to a dynamically changing set of ephemeral service instances. Observation is another key point for microservices frameworks. This allows you to debug & monitor each service. There are several aspects which need to be addressed while designing microservices. Most services need to have persistent data in a database. For example, the Device Service stores information about devices and the User Service stores information about users. There are multiple ways to manage databases in microservice frameworks. An external interface is the gate from where users/applications interact with microservices. Implement API Gateway to enable a single entry point for all service requests from clients. API gateway will authenticate requests and proxy/route to actual services. API gateway implements security (include Access Token in header or query parameter) for secured endpoints. Enterprise architects should design API gateways to take care of security, applications data protection and the number of request limit (per user, per IP or per application) to prevent DDoS attacks. Common advice for testing microservices is to use combined integration tests & unit tests. Run some of the tests as unit tests, and some of them as integration tests which can ensure the required quality within the solution. While planning the test you must include service component tests & service integration contract tests as part of the testing process. You can use several Testing Tools/frameworks in development, such as Junit, Spring Cloud Contract for Java & Mocha, Chai, Sinon, Proxyquire etc, for Nodejs. You can generate HTML reports by checkstyle to validate the test report & code coverage. Ideally, 80% code coverage is recommended for any source code. Each service is deployed as a set of service instances for throughput & availability. While defining the deployment microservice architecture it is ideal to check the following things. You can also use a deployment platform to automate the deployment of your microservices for both serverless & server based models. If you have a huge system with multiple integrated services which self-manages server instances & services, is generally a cost-effective solution. You can use AWS cloud formation & task definitions with Docker swarm mode & Kubernetes to automating deployment, scaling & manage all applications centrally. AWS cloud formation allows you to use a single file to model & provision infrastructure, and task definition allows you to define several Docker images for your environment. Once the environment is up, task definition takes care of all services i.e if your service crashes it would launch anew Docker instance automatically. 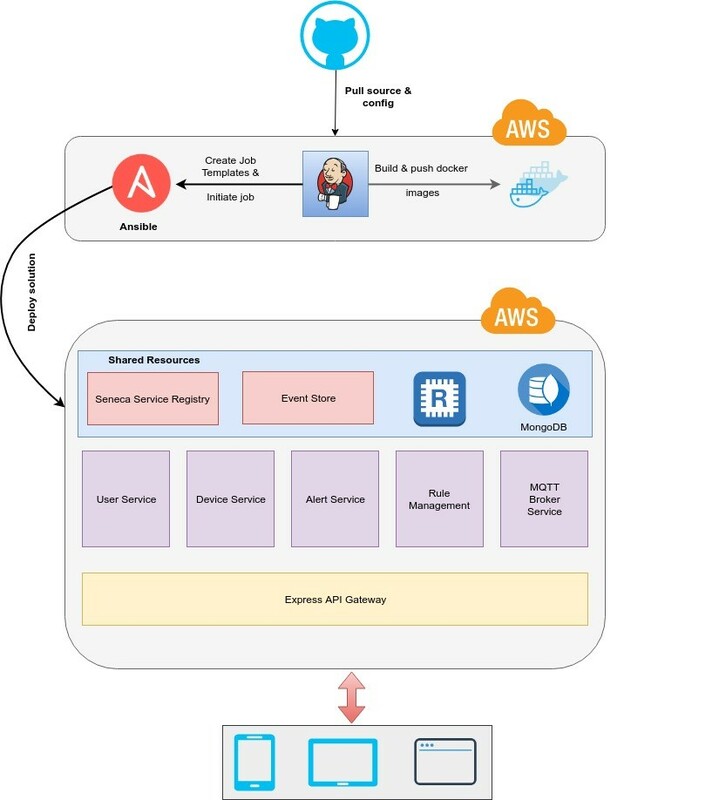 If your solution is small but requires a service, then you can deploy your services to PaaS platforms like AWS Elastic Beanstalk which allows you to deploy and scale web applications and services developed with Java, .NET, PHP, Node.js, Python, Ruby, Go, and Docker on familiar servers such as Apache, Nginx, Passenger, and IIS. It charges based on the resources you use. Let’s Imagine we are building an IoT solution using a microservice architecture which includes device connectivity, user management, alerts & rules engines. In addition to this, the solution must expose REST API details to third-party applications like Android and iOS. MongoDB cluster as a database. 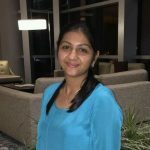 Nupur is associated with VOLANSYS as a Marketing and Communications Manager with the experience in digital marketing, partner relationships, events management and website development, with a proven success in lead generation and brand promotions.